Last week I did an exercise in transparency with my work team. Part of it required that we select a picture from a stack of stock photos that would be an appropriate cover for each of our autobiographies. I selected a photo of five smiling individuals in a white water raft envisioning the story that I would write about my own family and the adventure that we call life. One of my colleagues selected a photo of roots and I was touched by his description of his efforts to leave a legacy and to establish roots that would matter and that would last. He spoke of both his family and his community in a way that was passionate and authentic. In creating my own legacy and in working to inspire my home full of boys to better nutrition and health, turmeric is one of the roots that I’ve introduced to them. It is pungent, colorful and both easy and difficult to use. I was first introduced to the qualities of turmeric during my own breast cancer battle. Turmeric can be described as spicy, bitter or warming. It looks a lot like ginger root but is smaller and bright orange in color. This color is one of the reasons that it requires some care in the kitchen as one can quickly stain fingers, counter tops and utensils. In fact, it is turmeric that gives yellow mustard its color. Turmeric is the root of the Curcuma longa plant and has been used throughout history as a textile dye, a condiment and as healing substance. It is known to be a powerful anti-inflammatory so much so that it has shown promise for individuals with rhuematoid arthritis. In addition, several prominent studies have shown it to inhibit cancer cell growth. Beyond it’s use as a superfood, I enjoy it because it is remarkably high in iron. Just 7 grams thrown into my morning smoothie offers more than 15 percent of my daily iron requirements – something that I find hard to achieve. Turmeric is a tropical plant, and can be grown outdoors in zones 9 or warmer. Turmeric is widely used in Indian cooking and in my opinion, can work to prevent winter colds better than chicken soup ever could. Rasam is a Southern Indian soup that is made with toor dal (yellow split peas). This is a light soup perfect for the thermos as we approach winter. Combine toor dal with 4 cups water and turmeric in a saucepan. Bring the peas to boil over medium heat. Reduce heat to medium-low, partially cover, and simmer for 45 minutes until the peas are soft. Transfer to blender and blend until smooth. Measure, and return to saucepan. Add enough water to make 5 cups. Stir in ginger, serrano chiles, tomatoes, and salt, and bring to a boil over medium heat. Reduce heat to medium-low, and simmer 5 minutes, stirring occasionally. Meanwhile, heat butter in skillet over medium heat. Add mustard seeds, asafetida powder, red chile, cumin, and pepper. Cover and heat 1 to 2 minutes, or until mustard seeds begin to pop. Pour into soup. Remove soup from heat, and stir in lemon juice. Season with salt and pepper, if desired. Serve garnished with chopped cilantro. This soup is for tomorrow night’s dinner so head over to the facebook page to see photos in the next couple of days. In what ways and with whom do you establish roots? Turmeric has so many benefits! I have enjoyed having some fresh roots on hand. I know some people still use it as a dye because it is so powerful. What a wonderfully informative post. I had no idea that turmeric is used to color yellow mustard! Your recipe looks wonderful and I have all the ingredients. Since my family enjoys Indian food, and I have fun making it, turmeric has been a staple in our home. However, I have always used dried, not fresh (guess I’ll have to give it a try!). It’s always great to hear that something we eat for fun has such great medicinal properties. I love this soup. It is so flavorful and light. I read a great article on ayurvedic menus which talked about having a light soup for dinner. This works. 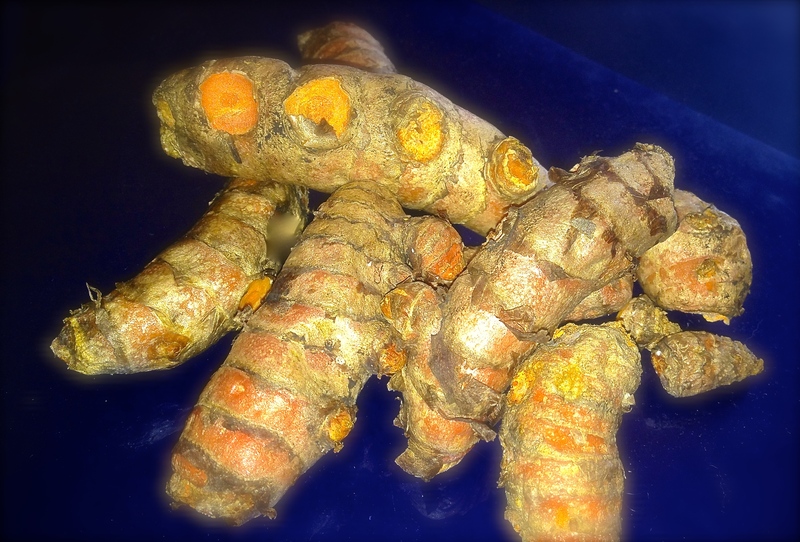 Hi Tammy–how curious the turmeric root looks—I’ve only used it ground to powder! Roots make a fine analogy in forming connections, friendships, community, the network of which can be strong, wide, and entwined–and unseen. our Nashville community potluck, which put down roots over 5 years ago serves as a vibrant example for me today. Your potluck example is such a good one for community roots. Love my cookbook!! Thank you. Love turmeric. I used it with sauteed summer squash and grains with delicious results. That soup sounds great. It is super flavorful. Do you ever use fresh turmeric? I love and enjoy all your posts, Tammy but this one special as I expound on Turmeric daily. It is an amazing food, herb. Thank you for sharing and circulating. We take capsule, tincture and use the dried herb, each day. The roots of our families are diverse and exciting and this Island holds memories and adventures in peace and harmony , joy and love. It is here now and was in the past, to create a place to escape to and refortify! I have been taking a couple of capsules daily but I love the fresh stuff too. This is just incredible: After reading your post I left for my grocery store run. Would you believe that I found fresh turmeric at the grocery store? I had never before seen it in the store, and I found out they seldom carry fresh, but every once in a while they have it in stock. It is now in my refrigerator to try out this week. Thanks for getting me to try something new! Sprouts – locally owned and they carry it! and it is reasonably priced. Such an easy recipe if you have the ingredients on hand. Good for you on the ginger!! I only use a small piece of turmeric in my smoothies so no. But, I have to tell you that I use it almost daily and I never ever get a cold. I was told that turmeric can only be accepted by the body if used in conjunction with black pepper. Have you heard of this too?